There’s much in Nolan’s audacious new feature worth commending, chief among which is the underlying conceptual apparatus of time and rhythm and the greatly immersive experience it generates. Cross cutting between three divergent storlines yet maintaining a parallel flow of time between them is something I’ve frankly never seen before. In spite that each plot recount a distinct timeline, and each cut serve as an extension or contraction of time, the bombastic flow of Nolan’s pure visual storytelling remains uninterrupted. This is a brilliant feature of the film which tends to its unique and captivating viscerality. Rather than delineate a three act structure of rising action, climax, and resolution, Nolan opts to begin in medias res and remain in climax for the film’s entire duration. This at once works for and against the film’s underlying concept. The viewer’s conception of time is suspended such that each moment engages one’s perceptions with the same degree of impact as any other. There is no sense of relative action between the film’s stages or the microcosmic climax within climactic action; the initial scene’s energy peaks to the same degree as those in middle, climax, and closing. This continually regenerating climax of the film’s rhythm is owed in part to Nolan’s masterful command of visual storytelling, a feature of his craft relatively unseen since 2000’s magnum opus, Memento. The film exhibits a clear influence of Soviet Montage, with certain scenes—including the opening titles and flow of editing transitions—recalling the films of Sergei Eisenstein, Strike in particular. In similar manner, the film strives for that impossible dream of pure cinema described by Mitry, Arnheim, Eisenstein, Clair, Vertov and others. This method serves as a form of defamiliarization, and Nolan’s scattered narrative works on many levels to convey a sense of it. Also owed to Nolan’s continually regenerating rhythm, apparently, is Hans Zimmer’s literally non-stop score which means to buttress the climactic energy of the film’s visual rhythm. Unfortunately what it actually does is compromise Nolan’s venture into pure cinema. The visual tour de force of Dunkirk does not need support from an incessant, deafening score riddled in monotony. What may have created powerful emotional moments through image alone is instead transformed into fodder for the film’s all too uncompromising mood, a control of viewer’s emotions which is behoeven to the music. Scenes which are narratively denser than others are perceived with equal emotional amplitude, the result of an equally resounding soundtrack. There is no rise and fall of emotional gravitas between a passing scene and one integral to plot. While both qualities I have mentioned of sound and image work towards Nolan’s concept of a continually regenerating climax, they work in contradicting manners. The notion of pure cinema relies on ideas of defamiliarization and non-representation. It goes against the commodity form of production related to media which consists of the idea that “to look is to labour”, in other words, the idea that the viewer’s passive attention is controlled by what becomes an image’s hegemony. 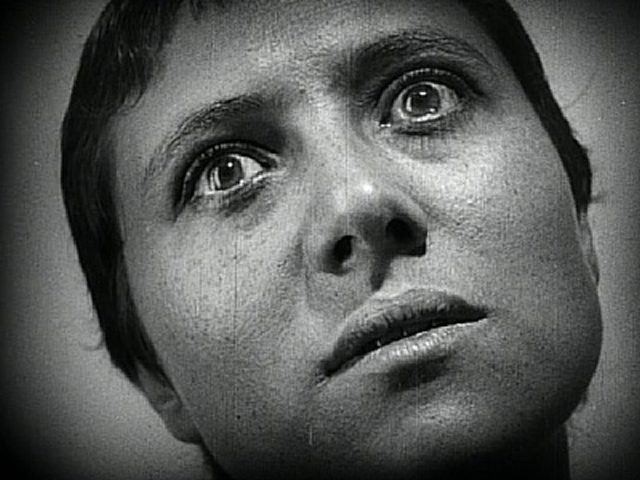 In contention, the notion of pure cinema lies in concert with Bazin’s advocation of free cinema—deep focus and long take for example as techniques which bestow autonomy on the viewer, and thus strip an image’s hegemony of its power and delivers that power to a now active viewer. The scattershot narrative, montage, and suspension of time held in Nolan’s visual rhythm support this idea of pure cinema, of viewer autonomy, and of defamiliarization. It requires the viewer’s active attention to remain entranced and transformed by a transcendental structure of time constructed by the film’s rhythm. To do this might result in a pure experience of the visual aesthetics, what may rightly be deemed an aesthetic experience. Preventing this aesthetic experience, however, is the contradistinctive hegemony of the film’s score which incessantly seeks to distract the viewer’s attention. Instead of supporting the notion of pure cinema, it supports the commodity mode of production by controlling the viewer’s emotional experience. Image | This entry was posted in Essays, Reviews and tagged 70mm, aesthetic experience, aesthetics, andre bazin, blockbuster films, christopher nolan, cillian murphy, climax, commodity, concept, defamiliarization, dunkirk, dziga vertov, eisenstein, film, films of 2017, fionn whitehead, hans zimmer, hegemony, imax, in medias res, kenneth branagh, mark rylance, memento, Montage, music, Narrative, nolan, ost, perception, philosophy, pure cinema, rhythm, score, soundtrack, soviet montage, Spectacle, storytelling, summer film, Time, tom hardy, world war II. Bookmark the permalink.